Attorney General Greg Abbott demonstrated his fundraising prowess over the last half year with 25 six-figure donations, including a total of $900,000 from the late Dallas billionaire Harold Simmons. 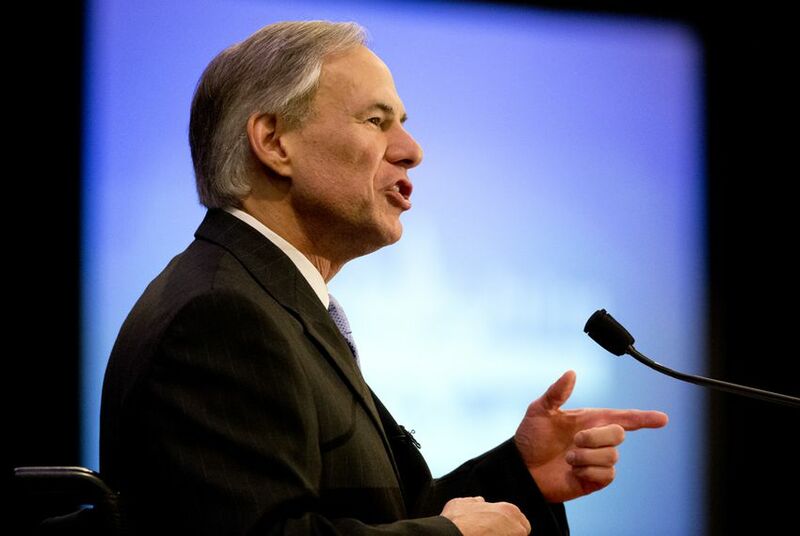 Attorney General Greg Abbott, the leading Republican candidate for Texas governor, demonstrated his fundraising prowess over the last half year with 25 six-figure donations, including a total of $900,000 from the late Dallas billionaire Harold Simmons, new filings show. Counting previous donations to Abbott over his career in statewide office, Simmons has given Abbott at least $2 million. Energy executive Kelcy Warren of Dallas contributed $200,000 to Abbott, as did Nancy and Marcus Hiles of Grand Prairie. The North Cypress Medical Center Operating Co. LTD gave Abbott $150,000. Eighteen people gave $100,000 to Abbott over the reporting period, which ran from July 1 to Dec. 31. Among them were Dallas oilman Ray Hunt, Lee Bass of Fort Worth and Landry’s restaurant owner Tilman Fertitta of Houston. (Other Fertitta family member chipped in a combined $100,000.) Nancy Kinder of Houston gave Abbott two separate $100,000 donations. Paypal co-founder Peter Thiel of San Francisco was the only $100,000 donor from out of state on Abbott's new report, which was posted on the Texas Ethics Commission website Thursday. Abbott got big donations from two members of the University of Texas System Board of Regents: $100,000 from newly appointed member Jeffery Hildebrand of Houston and $75,000 from chairman Paul Foster of El Paso. Abbott raised $11.5 million over the six months and begins 2014 with $27 million in the bank. He has only token opposition in his primary and is expected to face Democrat Wendy Davis in November. Davis had a big fundraising report, too: She pulled in $8.7 million directly and another $3.5 million for a joint "victory committee" that shares resources between her campaign and Battleground Texas, a Democratic group working to pump up turnout and make the Republican-led state competitive again. The Davis campaign says she started the year with a little over $9.5 million cash on hand.